In this post, Ignite Visibility Lead Strategist, Alan Bush breaks down the foundation for good search engine optimization (SEO) which is web development and site architecture. It’s important to produce a website that’s both user-friendly and Google-friendly. Unfortunately, many websites look great from a user experience perspective but fail when run through the Google mobile-friendly test or PageSpeed Insights. If your site doesn’t perform well with either one of those tools, you’re going to have trouble ranking. In this article, we’ll go over what you need to do from an SEO perspective when converting an old site to a new site. It’s called “render-blocking” because it causes the visual part of the page to load more slowly. That’s not a good thing from an SEO perspective. Keep in mind: if your site doesn’t render above-the-fold content with additional network round-trips, that will also hurt your score with PageSpeed Insights. You don’t want Google crawling around your development environment. That could bust your crawl budget and leave you with indexed pages you don’t want to be indexed. Fortunately, there’s an easy way to prevent that. Modify the robots.txt file. Of course, you’ll want to change that once you’re finished, otherwise, your new site will never get indexed. If necessary, put a QA team together. Give them some use cases and tell them to go try to break the site. Have them go through the checkout process, fill out forms, download files, and perform every other task that you expect users to perform. More than likely, they’ll find a few bugs. Fix those bugs before bringing the site online for public use. If you’re using WordPress, you’ll find that it already has a lot of great features that include SEO benefits. That’s especially true if you’re using the Yoast SEO plugin. Be careful your design changes don’t take away those benefits. Otherwise, you might just improve user experience at the expense of losing rank. If you’re converting to a new site, then you might also be creating new URLs for the pages on your existing site. If that’s the case, then you’d better set 301 redirects for the old pages. Why? Because if you don’t, then you’re going to lose rank for all of your old pages. Think about it: why would Google index a page that doesn’t exist? The good news is that it’s not that difficult to redirect your old URLs. Just grab all them from the sitemap file and update the .htaccess file accordingly with rewrites to the new URLs. 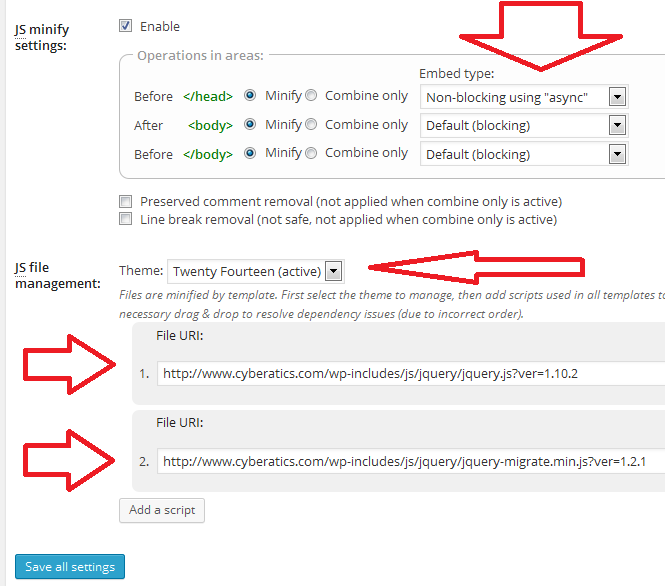 This is an especially important step if you’re switching content management system (CMS) platforms (for example, from Drupal to WordPress). In that case, you’ll want to make sure that your URLs are still redirecting properly through all the coding changes. Once you’re done with development, keep in mind that you’re turning over the website to somebody who will have to maintain it going forward. That’s why proper training is essential. Truth be told, the WordPress administrative console isn’t very intuitive. Sure, it’s easy to create a new post or upload an image. But not too many people will immediately know where to add custom CSS or paste in a Google Analytics tracking code. So, before you move on to your next project, make sure that you offer your client a complete tutorial in how to administer the website. Alas, not all developers think just like users. That’s why it’s vital that you let your client “drive” when it comes to establishing the look, feel, and navigation of the website. Quite frankly, your client understands the target market better than you do. As a result, he or she will know what people in that market are looking for in terms of menu structure, colorization, and overall content. Sure, you should offer feedback based on your experience. Just keep in mind that the client has the final say. Then, once you’ve established the requirements, put together a website that flows seamlessly and makes sense to its intended audience. This goes without saying but be sure the website is mobile friendly! Google has recently announced that they are utilizing mobile-first indexing. While previously they looked at the desktop version of your website first, this switch now uses the mobile version of your website as the first standard for rankings. Aside from this announcement, mobile internet usage is now overtaking desktop.